The first surprise was during the first performance of the musical “Mozart!” in January. When the selling started, the sold-out tickets for the performances showed the ticketing power of “Xiah Junsu.” That was the first shocking event. The second surprise was the recognition based on his abilities that Kim Junsu got from people who were initially prejudiced against idols advancing into musicals. Though it was “celebrity idol” Xiah Junsu who showed powerful ticketing power, it was the “rising musical star” Kim Junsu who melted the hearts of the audience. He received recognition from the 4th Musical Awards, as well as the Newcomer’s Award and Popularity Award in the 16th Korean Musical Daesang. A four-day “Kim Junsu Musical Concert – Levay With Friends” concert was held by the proposal of composer Sylvester Levay. Though Kim Junsu has appeared on concert stages numerous times as a singer, performing onstage for the first time as a musical actor is a very new and exciting experience for him as a musical gives him more opportunities to be exposed to more diverse genres of music. Despite being involved in all the controversy surrounding TVXQ in 2010, Kim Junsu still has a lot of things to be thankful for and happy about. After experiencing the satisfaction of performing onstage in a musical, there is a high possibility of him returning as musical actor “Kim Junsu” in the future. Composer Levay, came to Korea for “Kim Junsu Musical Concert”. Grammy awards winning “Mozart” and “Elizabeth” composer Sylvester Levay once again visited Korea for “Kim Junsu Musical Concert” dated on 7th October. The musical will include exciting tracks like “Mozart” and “Elizabeth” which will debut in Korea in 2012. After arriving in Korea, Levay had been concentrating and working hard with the orchestra for the performances. We met him on the 5th when he had some free time. On the 1st of this month, I went to the practice room alone and I met up with the actor. Thou was the feeling back at ‘Mozart’ performances, but Korean musical actors capability are not any less than actors from other countries. This time round, it was the orchestra which made me very surprised. They were very impressive. Right now, the director Kim Mun-Jeong had ended with the overall practice; I’m currently going through the process of blending the atmosphere (to match the performance). The modifications I brought up were all accepted positively and were corrected even further. This is really not an easy job. After “Mozart!” ended, I went to Munich and watched Kim Junsu’s concert DVD as a singer. After looking through at a few information regarding his performances, the thought of “It would be so much better if Junsu could performance once more on stage” deepens. I tried to proceed with this idea and thus, there was a musical concert as a result. By saying “performance,” I didn’t mean a performance whereby he only sings, but including more of the musical genre; this way it could present a different Kim Junsu and that he would have the opportunity to climb to another level of success with this musical concert. I had this kind of thoughts. With wonderful tracks from “Elizabeth” which had not been opened to the Korean audience, and also actors from one of their favourites – “Mozart!” to complete this colorful performance. German musical actor star Uwe Kröger who had also cast in “Mozart!”, “Miss Saigon”, and “Phantom” will be starring in this musical as well. At the end of the musical, the song composed for Junsu will also be known; I will personally play the piano accompaniment and present Junsu who will be the first one performing this song. PD: There is big anticipation regarding your composition for Kim Junsu. Both of us had started communicating when we first met each other. We shared our stories about this and that. Junsu requested from me if I could write a song for him, and of course, I had agreed. I feel that if Junsu’s music world and mine was to meet with each other, it will comprise of a very meaningful world. When I was writing it, I did not have the thoughts of targeting it as the musical’s theme song nor was it pop music, I was simply and purely producing a song. I wanted to share the story we interacted by a music piece and so that Kim Junsu can hundred percent display his charming voice. PD: I heard that you went to every stop of Kim Junsu’s “Mozart!” It’s also said that you rated highly of his talents. Yes, I’m a fan (laugh). After seeing Kim Junsu at the practice room and I had that feeling of “This friend does really know how to run forward.” He has surprising talents and is a very intelligent friend. His emotional voice in “Mozart!” is the first thing which attracted me. The rich emotions moved me deeply. Even though one’s singing abilities are important, it is important as well to know how to express your emotions while singing. 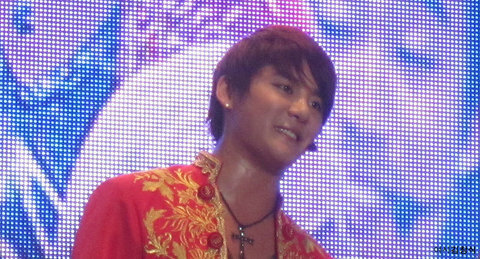 PD: You must have also received the hanbok as a gift from Kim Junsu’s fans as well. Oh, I must express that I am really very thankful to them! It was really a beautiful hanbok (laugh). It is a wonderful thing to be seeing enthusiastic fans in Korea, Europe, Japan and from other countries as well. PD: We are also looking forward to “Elizabeth” which will be first open up in Korea through “Kim Junsu’s Musical Concert”. We will be able to watch 6 brilliant performances for the concert this time. I’ve also heard that there was a huge curiosity regarding the chosen casts. It was confirmed to be performed approximately on the year 2012; however, the selected casts are not notified yet. That was due to the actors’ schedules. The producer and I wished that there are at least 3 to 4 names who was selected for this performance will be chosen. Another thing that I was more certain was that I wished “Elizabeth” lead actor will have Kim Junsu’s name on it. PD: In “Elizabeth,” what are the important points for that led to responsive Korean audience? First of all, if it could be as well-loved as “Mozart”, then it will be really amazing. The life of a sixteen-year-old woman to the Empress Elizabeth, by focusing on these fundamentals, there are quite a number of parts which could move the Korea audience. Her desires to be freed from the strict rules of the imperial palace is similar as to the issues of today’s life. Characters such as Death who will be introduced as her love, and also other roles as well does meet the Koreans’ conditions of charismatic. I think that this will definitely relates to the Korea audiences. Please enjoy the rest of the story through the performance. PD: I had heard that “Elizabeth” female lead is a very fascinating character. Yes, even though it is a difficult role to play as one have to 100% display the character perfectly with one’s singing and acting abilities, she is able to show that. One has to digest the characters from a 16 year-old to a 60-year-old. Despite that I had not met her personally, I had troubles selecting which Korean theme songs would be most suitable. PD: What are your afterthoughts after contacting with Korean musical? After the short rehearsals, I do not have any negative points to say about Korean musical. It is because it is really, very amazing. PD: Something to say to the audience of “Kim Junsu Musical Concert”? It is going to be very special. You will be able to see different sides of a singer and a musical actor Kim Junsu, able to encounter the unforgottable touching moments created by the awesome orchestra and the actors. 4 new songs which will surprise the audience will be played as well; this is a secret! Come and witness this for yourself. T/N Uwe Kroger is one of the most famous musical stars in the German-speaking countries of the world. Uwe Kroger took role of Archbishop Colloredo in musical Mozart, appearing on the same stage as Kim Junsu. 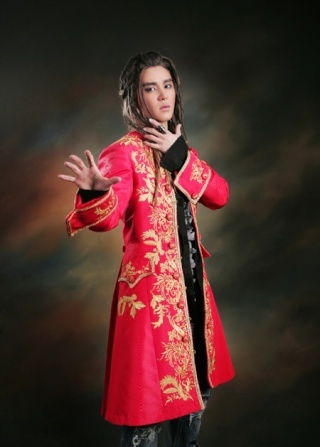 He had been starring as Colloredo starting from 2006 Mozart world performance. During the rehearsal with Junsu, Kroger’s initial impression when practicing harmonization was the chorus and acting precisely matches the German version even though of course it’s entirely performed in Korean, thus it is very interesting. Since the musical is worked by different countries, sometimes the interpretation of the work turn to be different. Yet Korean actors’ deep performance has left him a deep impression. There wasn’t any extra interpretation and the performance was straight forward. Just by looking at the actors’ expressions, you can feel what they ought to say. When Uwe Kroger was asked about evaluating TVXQ’s Kim Junsu as an actor, he said, taking into consideration that Junsu didn’t even receive adequate acting lessons, his acting was very natural. I can understand why they feel that way, but as someone who didn’t know a single TVXQ song before and had tears streaming down my face during his Mozart performance, I support him. I was really moved by his sincerity and charisma. Setting aside Kim Junsu’s talent, maybe it’s because they put his name on the title of the concert like it’s his solo concert even though he’s not the only one participating? Thank you T_T Who’s disappointed in the concert~ Watch him perform and then try complaining… huh?? “Ah ^^; You must be a fan of Kim Junsu. There are a lot of top musical actors who praise Junsu… After watching Mozart, I started searching for TVXQ songs hehe I didn’t know much about them before because I don’t watch that much TV. I think that he’s someone who is very talented at delivering emotions in his songs! The first performance of the ‘Kim Junsu Musical Concert -Levay With Friends’ was completely sold out in 20 minutes and once again showed off the ticket of power of Kim Junsu (Xiah Junsu). According to EMK Musical, “When the tickets were released on reservation site Interpark at 9pm on the 1st, all the floor seats were sold out in 90 seconds and then all the rest of the seats were sold out in 20 minutes.” It was said later that the large influx of fans also caused the server to crash, which caused great confusion. This concert, which began when Mozart!’s composer Sylvester Levay gave Kim Junsu a love call, is said to be a high quality performance with the composer himself participating actively by conducting the orchestra and playing the piano. Many have their attention focused on Kim Junsu, who has been praised for his possibilities as a musical actor, and he will be joined by top musical actors such as Shin Young Suk, Bae Hae Sun, Park Eun Tae and Jung Seon Ah. 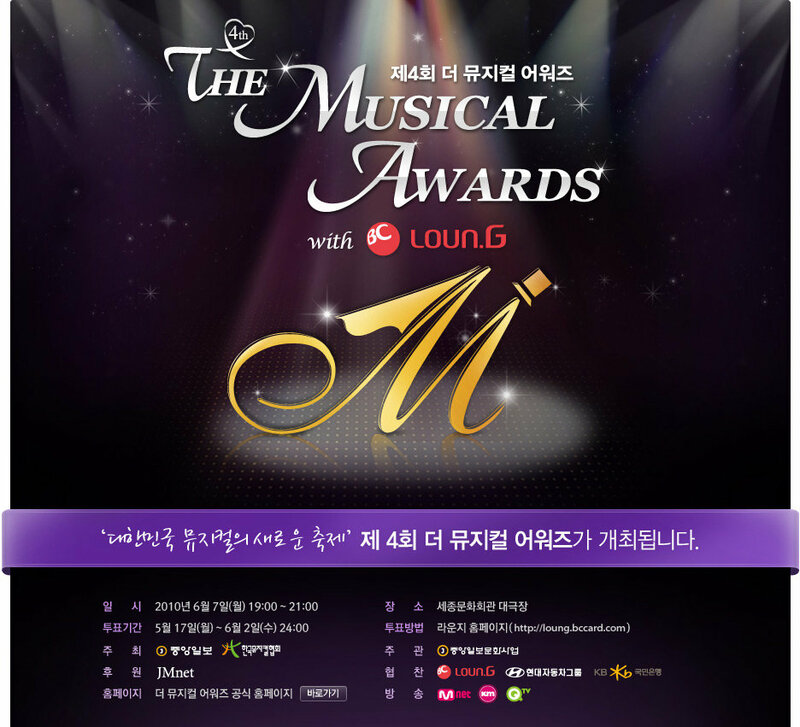 [NEWS] The Musical Awards Website Is Now Open For Voting! For Kim Junsu – Mozart! To make his name more awe-inspiring and majestic! Let the voting for one person one vote begin! If you vote, you may have the chance to receive an invite to the show. If you want to attend then start voting! Termed as the ‘new blood’, the nominees for ‘Best Newcomer’ in the “4th The Musical Awards” have caused a new flurry of activity within the Arts scene. In one of Korea’s most prestigious musical theatre event “The Musical Awards”, even the newcomers have attracted a whole lot of attention. From the appearances of idol star Xiah Junsu, senior ballet dancer Kim Ju Yeon and ex-Miss Korea Lee Ha-nui, one can see that the scope of the musical scene has indeed widened. They are also facing strong competition from other musical actors for an award that comes along only once in a musical actor’s entire career. Because of this, after the list of nominees in the respective categories were being released on the 12th in the event jointly sponsored by BC Loun.G, there was a huge focus placed upon the category of “Best Newcomer”. Let’s review on some of the nominees who have brought about a whole new direction and possibility to Korea’s musical scene. Possessing great courage amidst an excellent vocal ability – Xiah Junsu. On the 26th of January, the Sejong Center Theater was completely packed. That was the debut of DBSK’s Xiah Junsu (real name Kim Junsu; 24 years of age) in the musical “Mozart!”. For the 15 sessions that he acted in, all 45,000 tickets were completely sold out in a short time span of three hours. 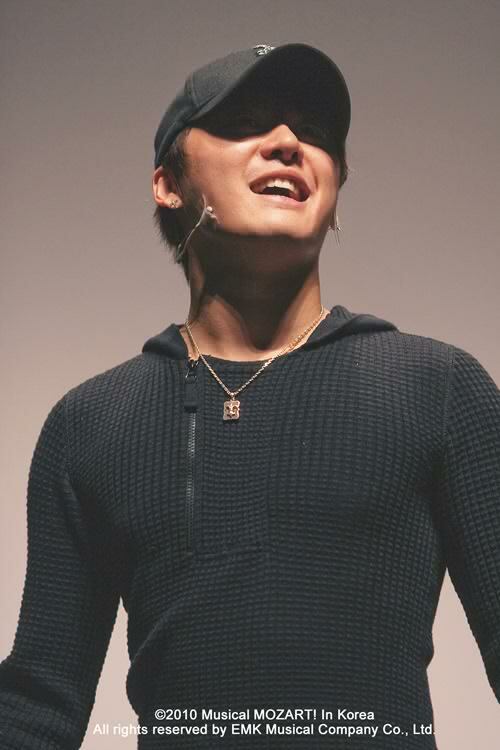 In a situation where people were worried about his status as an idol, Xiah Junsu won them over with his singing abilities. Thanks to long hours of trainings and his numerous experiences on being on stage, it was almost impossible to detect the anxiety within him. The key is in the acting. Being a greenhorn in acting, he once said that “I do not want to play Mozart, I want to become Mozart”, then he stood on stage as Mozart himself. And because of that, the other actors who star in the musical evaluated him as an actor with “natural acting abilities”.